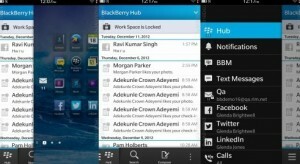 Will BlackBerry 10 Turn RIM’s Fortunes Around? Canadian manufacturer RIM is just weeks away from launching its new BlackBerry 10 operating system, and fans of the iconic handsets are champing at the bit with excitement. The company is keen to shake off the misfortunes of last year and start afresh, after 2012 proved to be the most testing time in the firmâ? ?s history. Declining sales figures and job losses had tainted the manufacturerâ? ?s reputation, with many advocates of the brand looking elsewhere to Appleâ? ?s iOS and Googleâ? ?s Android to fulfil their smartphone needs. However, with the promise of a new operating system, some have stuck by RIM. But will BlackBerry 10 be successful enough to put the company back on top of the manufacturer pile, or is it a case of too little too late? One of the downsides of previous BlackBerry operating systems has been a lack of apps available; however, RIM has promised this will not be the case with BlackBerry 10. Eyebrows were raised as to whether RIM could entice developers to create BB10 apps, but 15,000 apps for the new OS have recently been submitted in the space of two days (thatâ? ?s 405 an hour). Of course, the quality of those apps is as yet unknown, but if this figure is anything to go by BlackBerry 10â? ?s app selection looks to be growing at an incredible rate. In fact, reports suggest there are currently more than 120,000 apps available. As of November 2012, Google Play and Appleâ? ?s App Store hold around 700,000 apps each, so thereâ? ?s still a way to go before RIM can compete. But if BB10 can get developers on side and make sure all the major new app releases are available for the platform, devices toting the software will be a lot more appealing. BlackBerry 10 also offers a selection of cool new features, some of which were premiered on full touchscreen developer handsets. New functionality includes the BlackBerry Hub, which collects texts, emails, BBM, and social networking messages in one place. It can be easily accessed with a swipe upward and to the right, so whether youâ? ?re surfing the web or using an app, you can check if you have any messages without having to leave what youâ? ?re doing. Also on board is BlackBerry Balance, a feature which allows users to split their deviceâ? ?s UI into two profiles, one for business and one for personal. The new BlackBerry Keyboard is pretty cool too – BlackBerry 10 learns which words you use most often and displays them on the keyboard above the letter they begin with. A simple upward flick inserts predicted words into whatever youâ? ?re typing. 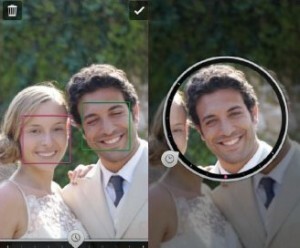 The feature that stands out the most is the cameraâ? ?s Time Shift functionality. This lets users â? ?rewind and fast-forwardâ?? images to capture the best shot possible, by taking a number of photos just before and just after the shutter button is pressed. The resulting images can be selected and seamlessly pasted into another shot to create the perfect image. You can even choose a specific personâ? ?s face in the photo and just Time Shift that area, in case theyâ? ?ve blinked at the crucial moment. Impressive. It seems that this could be RIMâ? ?s last chance to resurrect itself, with competition in the smartphone market tougher than ever before. RIM may still have a few tricks up its sleeve yet though, with more new features expected to be unveiled at the launch. Although BlackBerry 10 is certainly shaping up to be quite a cool OS, it will need to be teamed with some really high-end hardware if it is to be a success. Looks like weâ? ?ll have to wait until the official launch on 30 January to see if the Canadians can pull it off, but judging by what weâ? ?ve seen so far, theyâ? ?re not going down without a fight.